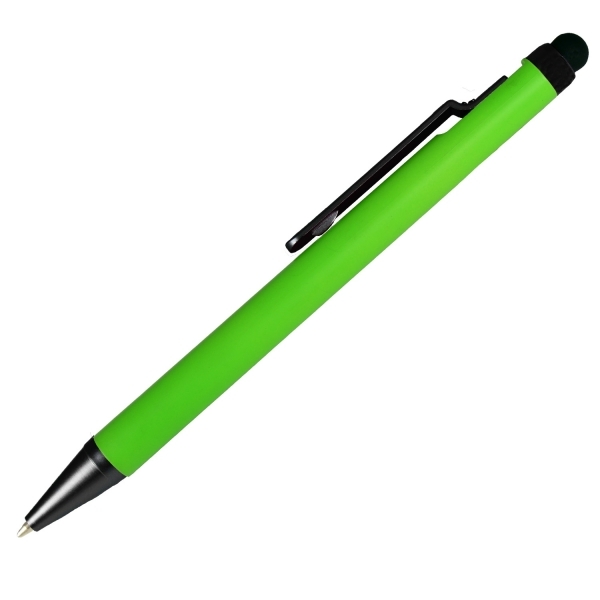 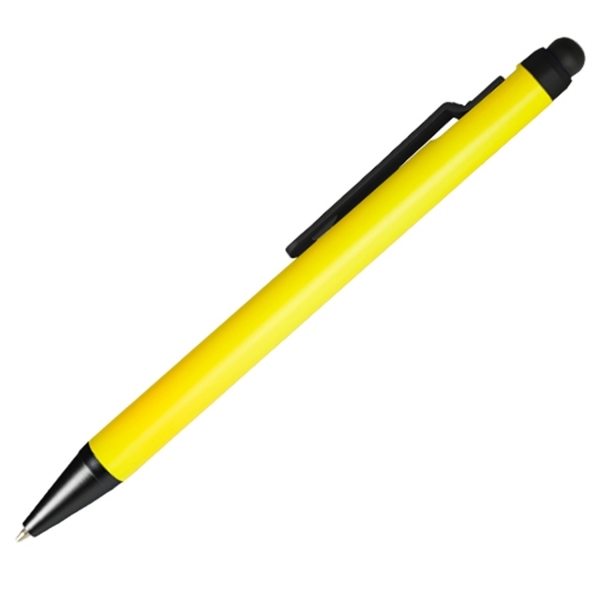 This neon colored Clip Action Plunger Pen with Stylus will turn heads & start conversations. 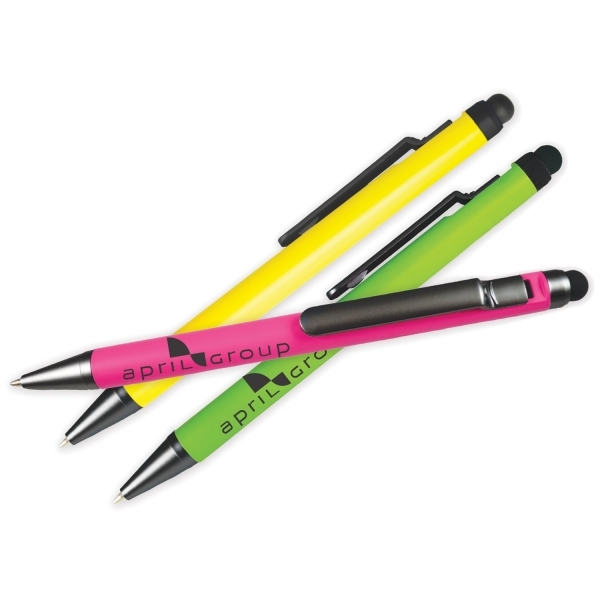 Neon Yellow, Pink, and Green with Black Clip. 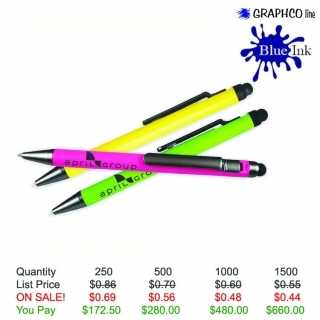 Blue German ink. 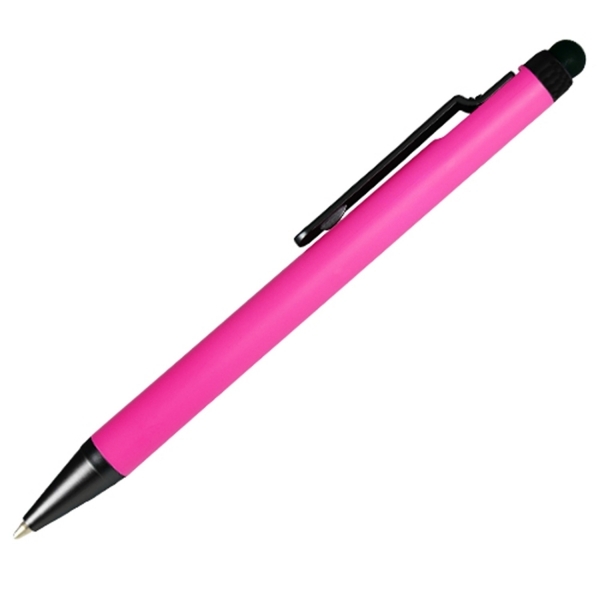 Product Features: Stylus twist retractable ballpoint pen with rubber grip. Color Ink/Point: Blue ink with medium point.